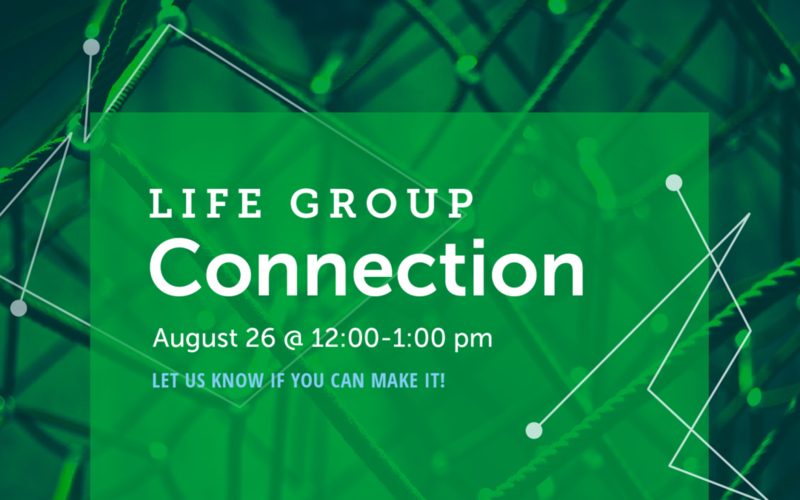 Join us for our Life Group Connection event on Sunday, August 26 from 11:45 am – 1:00 pm in the gathering area of the church. WE believe that getting to know others through a Life Group is where you will see real life change and spiritual growth happen! Life Groups are a place where you can come as you are, learn who Jesus is, what it means to follow Him, and discover friends who will do life with you! Learn more about Life Groups at The Water’s Edge. Looking for a way to connect with a few other Water’s Edgers? Give us an hour. We’ll help you get connected. During the Connection, you’ll have a chance to engage with Life Group Leaders and meet other people who are also looking for groups to join. A light lunch and childcare will be provided during the event. Stop by our Life Group cart to see what types of groups are available sign-up to participate in the Connection. We’ll be available to answer questions or share more information at both our 9:00 am and 10:30am services, beginning this Sunday, July 29 through Sunday, September 16. Let us know if you can make it on Sunday, August 26th. Please indicate what type of group(s) you might be interested in joining or learning more about.